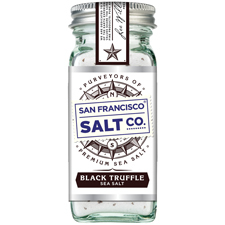 As purveyors of salt, we have travelled the world to bring you top notch culinary experiences. 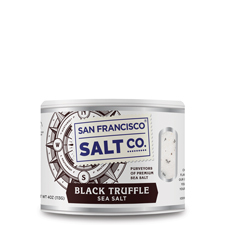 To create this esteemed delicacy, pure Mediterranean Sea Salt is infused with Black Truffles from the Abruzzi region of Italy. 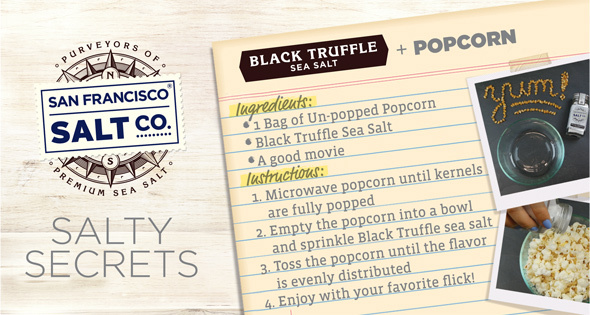 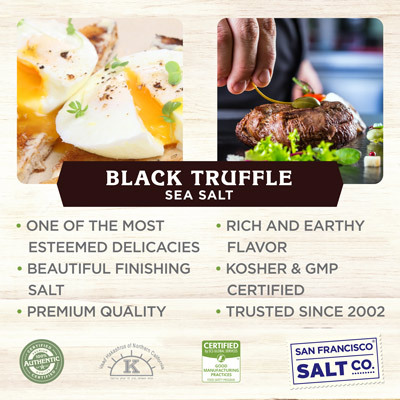 The aromatic, complex, earthy flavor of the Italian Black Truffles is perfectly complimented by the crisp mild flavor of the Mediterranean Sea Salt. 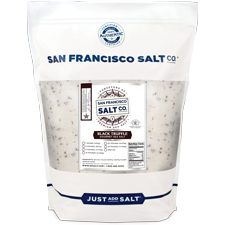 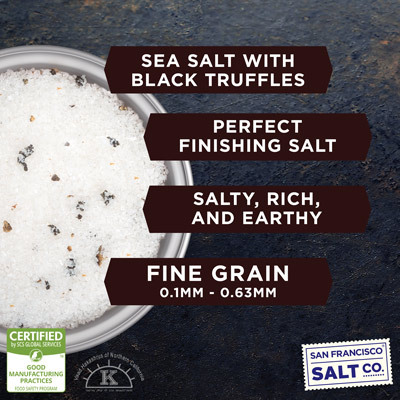 ESSENTIAL FOR PROFESSIONAL & HOME CHEFS ALIKE - The ultimate finishing salt, our Black Truffle perfectly complements a variety of foods such as Steak, Burgers, Pastas, Risottos, Eggs, and more. GRAIN SIZE - Only available in Fine Grain (0.1mm - 0.63mm). 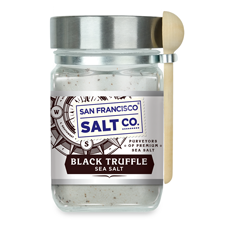 PLEASE NOTE: Not suitable for most salt shakers due to size of truffle flakes.